From Funko. When the men are off to fight in World War II, it's up to the ladies of DC Comics to guard the homefront! 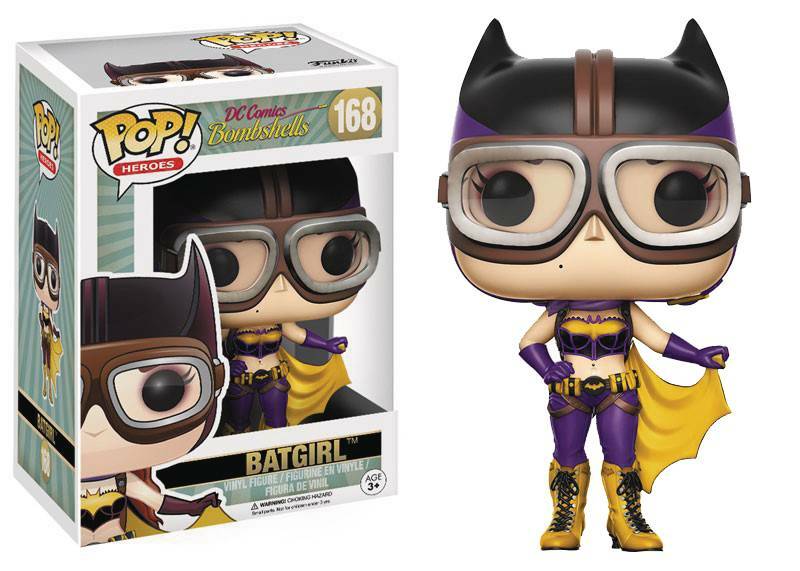 Introducing DC Bombshells Pop! Vinyls! Collect Harley Quinn, Batgirl, Wonder Woman, and Katana with a pinup style and dieselpunk flair! Wonder Woman has a sepia-toned chase variant, a 1 in 6 rarity!.